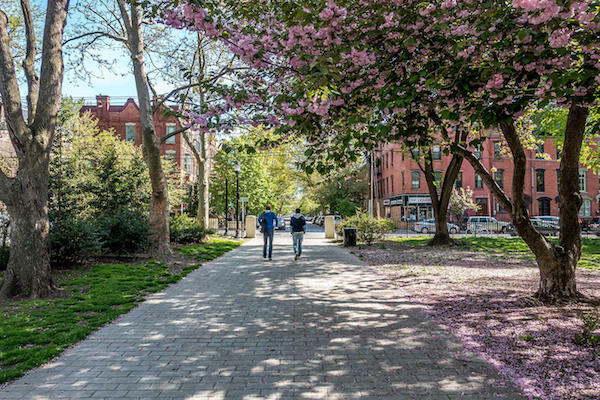 While the redeveloped Hudson Waterfront is undoubtedly the running highlight in Jersey City, the historic downtown area is also worth exploring. There are tree-lined streets with 19th century brownstones in this well-preserved area. Some of the nicer streets looks like sections of Park Slop or the Upper West side. 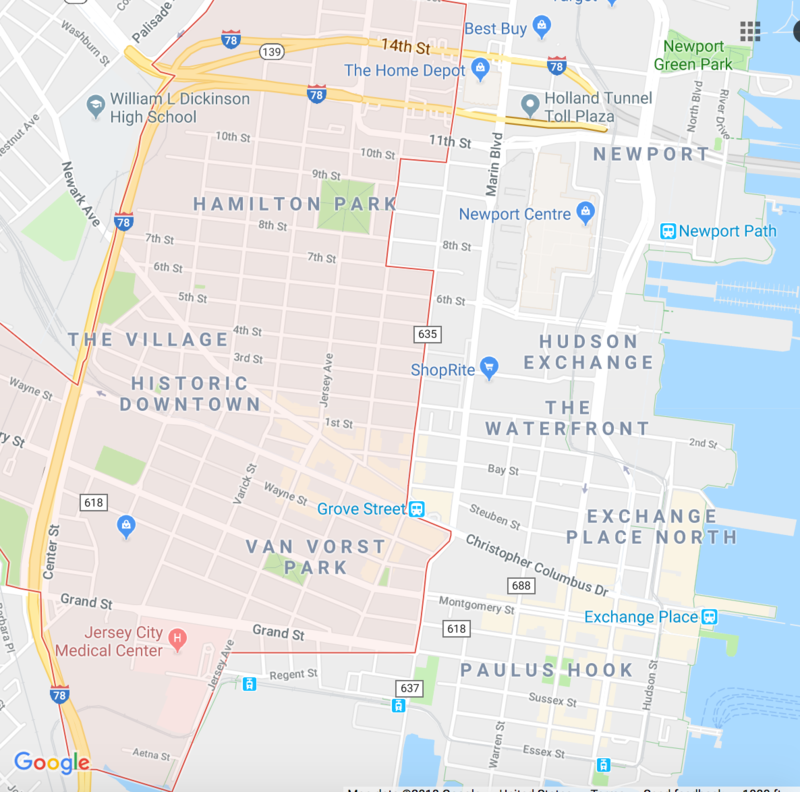 The area considered ‘historic downtown’ is west of Marin Blvd, between the Victorian-era Hamilton Park to the north and Van Vorst Park to the south. It’s best to create your own route in this area, which is about 1 mile north-south, and 0.7 miles east-west. The more commercial streets include Grove near the PATH station, and Newark Ave. The neighborhood contains City Hall, the Public Library, and Jersey City Museum. Of course, you can do a run combining downtown and the waterfront path, which goes for north to Liberty State Park and south to Hoboken. Create your own route - it's ~1 mile north-south and 0.7 miles east-west.